Tonight, the household is having a fundraiser/veg potluck/party/birthday party. Supposedly there will be a vegan chef attending and said chef will be whipping up some delectable delights to accompany the potluck dishes brought by guests. There is also a keg of San Diego’s finest homebrew and three Brazilian bands will be playing up a storm. 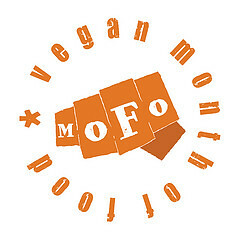 So I’d thank you all who have been stopping by to read our blog even after Vegan MoFo ended. I’ve been getting in the mood to bake so look for recipes, reviews and pictures of the culinary master-or-disasterpieces I manage to make come out of the oven. Literate Zombie will be be continuing his articles on basic pantry items he likes to have on hand in our vegan kitchen. We will also start filming basic kitchen tutorials as well as play catch up with posting recipes. So I wish a Happy Saturday to you all and we will be back!